Matthew McClintock represents secured and unsecured creditors, committees, bondholders, trustees and equity security holders in all transactional and litigation aspects of complex corporate restructuring matters. Mr. McClintock also represents lenders and borrowers in out-of-court restructuring matters and has represented a variety of clients with respect to cash collateral agreements, sales of assets in bankruptcy, reorganization plan structuring and confirmations, cross-border insolvency proceedings, motions for relief from the automatic stay, dischargeability litigation, fraudulent conveyance and preference litigation, and many other issues. Having served as lead counsel in a multitude of restructuring matters across a wide spectrum of industries, Mr. McClintock is adept at quickly drilling down on core issues, understanding likely outcomes, and developing strategies to help his clients achieve practical and efficient solutions to their most pressing business and legal problems. Prior to founding Goldstein & McClintock LLLP in order to build an exclusive boutique law firm free of large-firm conflicts and billing rates, Mr. McClintock was a Partner at K&L Gates, LLP, a large international law firm comprised of approximately 2,000 attorneys around the globe. 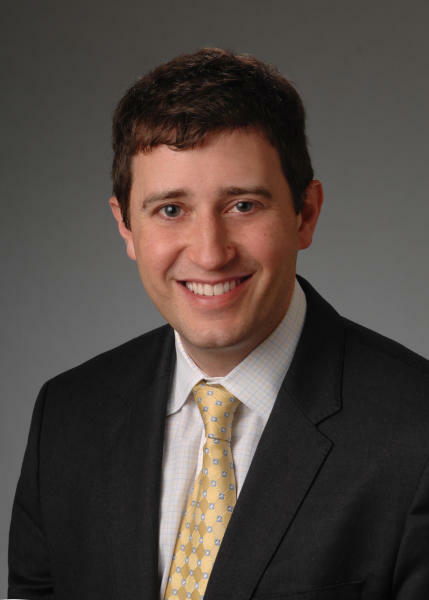 He started his legal career at Sidley Austin LLP, working mostly on large company-side restructuring cases out of its Chicago, Illinois office. Since founding the firm, Mr. McClintock has been honored to be joined by an incredibly talented and diverse team, with all of the firm's partners coming from similar backgrounds -- large and well-known national and international law firms, where they worked on extremely complex matters in their respective fields. As a result of all of their efforts, the firm has been the recipient of numerous awards, most recently including: "Restructuring Law – Boutique Firm of the Year USA” by Global Business Magazine and the Professional Sector Network’s 2016 Annual International Awards; "Best for Finance Law – USA” by Wealth & Finance International Magazine’s 2015 Finance Awards; "Best Corporate Restructuring Boutique – USA” by Corporate LiveWire’s 2015 Legal Awards; “Best for Corporate Restructuring – Illinois” by Acquisition International’s 2015 Legal Awards; “Best Restructuring & Workouts Law Firm – Illinois” by Corporate America’s 2015 M&A Awards; “Recognized Practitioner” by the 2015 Chambers USA guide for being active and accomplished in Bankruptcy/Restructuring law in Illinois; 2015 Law Firm of the Year (Corporate Restructuring — Illinois) by Global 100; “Best Full Service Boutique Law Firm – USA” by Acquisition International’s 2015 M&A Awards; “US – Corporate Restructuring Law Firm of the Year” and "US – Diversity Law Firm of the Year” by ACQ Law Awards for 2014/2015; 2015 state-wide winner in Illinois for Bankruptcy & Restructuring by Corporate LiveWire's Global Awards; “Country Awards Winner United States 2015” by Lawyers World; to 2015/2016 U.S. News Best Law Firms in multiple categories (including “Bankruptcy and Creditor Debtor Rights / Insolvency and Reorganization Law” and “Real Estate Law”); and two separate 2015 Corporate Turnaround of the Year awards from Turnaround Atlas Awards as well as from the Turnaround Management Association’s Chicago/Midwest Chapter. Represented the Official Committee of Unsecured Creditors of HemCon Medical Technologies, Inc. in its Chapter 11 case in Portland, Oregon (medical device manufacturer focusing largely on wound care solutions). Represented the Official Committee of Unsecured Creditors of Trans Coastal Supply Co., Inc. in its Chapter 11 case in Springfield, Illinois (international grain logistics company with 2013 revenue of approximately $550 million). Represented the Official Committee of Unsecured Creditors of International Supply Co. in its Chapter 11 case in Peoria, Illinois (manufacturer of casings for power generators in the energy industry). Represented the Official Committee of Unsecured Creditors of SupplementWarehouse.com, Inc. in its Chapter 11 case in Milwaukee, Wisconsin (online retailer of nutritional supplements -- committee, secured lender, and debtor negotiated and confirmed a joint plan that provides for a 100% recovery for unsecured creditors from a streamlined business being operated with creditor oversight). Represented the Official Committee of Unsecured Creditors of The Young Men’s Christian Association of Metropolitan Milwaukee, Inc. in its Chapter 11 case in Milwaukee, Wisconsin (after selling suburban locations, unsecured creditors of the the Milwaukee YMCA received approximately a 90% recovery via a confirmed plan of reorganization centered around the YMCA's urban core). Represented a multi-national banking institution in connection with fraudulent transfer and associated litigation stemming from defaulted loans made to several major real estate developers. Represented Qualteq, Inc. and its debtor affiliates, a direct mailing and secure card printing business that was at the time the third largest minority-owned business in the nation, in their chapter 11 bankruptcy proceedings. Represented the Official Committee of Unsecured Creditors of Mark Seed Company in its Chapter 11 case in Des Moines, Iowa (regional seed distribution business with proprietary strains and associated intellectual property -- case resulted in a going-concern sale and a confirmed plan that should provide creditors a recovery exceeding 30%, an excellent result under the circumstances). Represented the Official Committee of Unsecured Creditors of Pacific Ethanol Holding Co. LLC, et al. in their Chapter 11 cases in Wilmington, Delaware (ethanol manufacturer with four plants on the West Coast capable of producing 200 million gallons of ethanol annually; total claims in the chapter 11 cases exceeded $300 million). Representation of chapter 11 debtor Champion Manufacturing Industries, Inc. (manufacturer of HVAC components) in successful financial and operational restructuring. Representation of Casey Tool & Machine Company, Inc. (cross-border manufacturer of lighting components) in connection with the successful wind-down and liquidation of its business operations through a series of sales in bankruptcy. Representation of secured note holders (principal amount of $108 million) in the chapter 11 bankruptcy of a major telecommunications company. Representation of Pliant Corporation (manufacturer of value-added films and flexible packaging) in connection with its successful chapter 11 restructuring of approximately $1.4 billion in liabilities. Representation of Pegasus Satellite Television, Inc. (major satellite television distributor) in chapter 11 bankruptcy culminating in successful $900 million sale of its satellite business. Representation of major secured lender in connection with chapter 15 (cross-border) proceedings initiated by a large foreign debtor. Presented on Ponzi schemes and fraudulent transfer issues (“Schemes and Deceptions Relating to Bankruptcy Fraud”) at the annual continuing education conference hosted by the Illinois Certified Public Accountant Society (ILCPAS). Taught continuing legal education seminar on prominent Seventh Circuit Court of Appeals decisions impacting bankruptcy and restructuring professionals for the Chicago Bar Association. Author of “Understanding Chapter 15 of the United States Bankruptcy Code: Everything You Need to Know About Cross-Border Insolvency Law in the United States” published in the Law and Business Review of the Americas.